When we announced the Google Assistant, we said that we wanted to help you get things done across a number of different places, contexts and situations. As we usher in the new year — and with it, the annual Consumer Electronics Show (CES) — we wanted to share an update on just a few of the ways you can expect to interact with your Assistant in the coming year. The Google Assistant is making its way to Android TV in the coming months. As part of an upcoming update on supported TVs and set-top boxes powered by Android TV, you’ll be able to ask the Google Assistant for help so you can enjoy the content you love, faster than ever, on the best screen in your house. No more typing or struggling to get to what you’re looking for — just ask the Google Assistant for help and you’re off to the races. In the coming months, the Google Assistant on Android TV will come to the NVIDIA SHIELD, along with all Android TVs in the US running Android 6.0 Marshmallow or Android 7.0 Nougat, such as the AirTV Player, Sharp Aquos, Sony Bravia, Xiaomi Mi Box, and more. And once available, the NVIDIA SHIELD will be the first TV device to offer a hands-free Assistant experience — so “Dim the lights” will only be an “Ok Google” away! 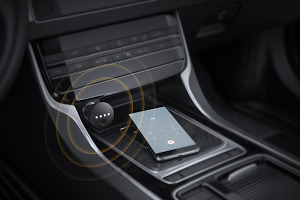 Over time, you'll also see the Assistant come to other new surfaces, like smartwatches running Android Wear 2.0, Android-powered in-car infotainment systems and many other types of devices through the Embedded Google Assistant SDK. Last month we announced Actions on Google, the developer platform for the Google Assistant. 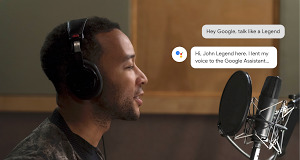 Since then, we’ve had a number of services release new and interesting ways for Google Home users to have a conversation with them — from meditating with Headspace to getting things done in the kitchen with Food Network. All of these announcements and more will be part of this week’s CES. You can expect to start using some of these Assistant integrations over the coming months and we’ll share more information as they become available. Happy New Year and happy CES!